The 2500 series represents Aeroflex s highest performance synthesizers and exemplifies cutting edge performance. The 2500 series synthesizers are faster, cleaner, smaller and more rugged than their predecessor, the FS5000, and also have improved continuous operation the Mean Time Between Failure (MTBF) from 4,000 hours to 16,000 hours. 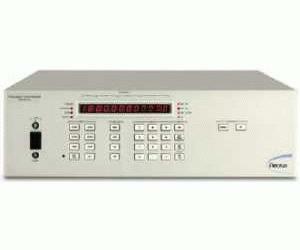 The 2500 series synthesizers are more reliable, ultra-fast and low cost. They are an ideal source for agile radar, radar simulators, radar upgrades, fast antenna, RCS measurements, electronic warfare systems, and ultra-fast ATE.